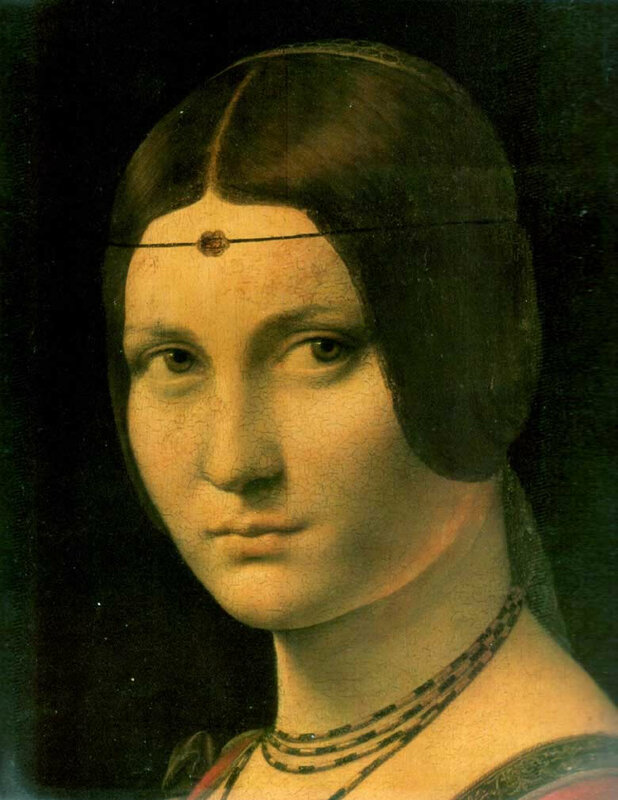 This amazing portrait by Leonardo, ‘La Belle Ferroniere’, has always reminded me of my mother (and my younger sister), not just because of a physical resemblance to her, but for the soft and melancholy expression of her eyes, and her earthy, rather Italian sensuality. 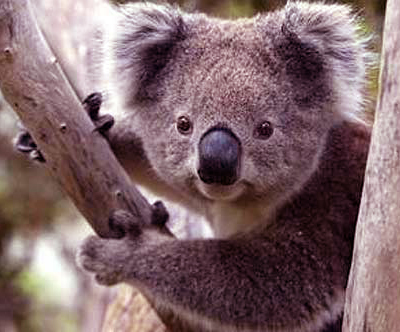 My mother died two years ago, on May 9, Mother Day in Australia where I live. She was 87 years old. That day the transiting Moon in Cancer, my Sun Sign, was aligned to my Natal (Birth) Uranus in Cancer, on the cusp of my Twelfth House, the karmic place where things happen over which we have no control. The Moon was also at right angles with Jupiter in my Ninth House and Neptune in my Third House (opposed at birth). So her passing got also mixed up with the fact that I had been living abroad for the last 26 years and had become psychologically estranged from her and my siblings, due to the distance and the difficulties of sharing very different life styles. The news of her death caught me by surprise (my Natal Uranus, by the way, is in perfect Quincunx, 150 degree distance, from my Birth Moon in Aquarius, while the transiting Uranus was in square with my Natal Mars on the day). It shouldn’t have been such a surprise really, because I was aware of her age and her deteriorating state of health. Nevertheless, in true Uranian fashion, I was incredibly surprised and shocked by the news. All of the sudden it was too late to talk to her, to explain things to her and ask her forgiveness for my sins of omission and my habitual aloofness. The love was always there and we wrote to each other and talked on the phone regularly, but somehow the thread of continuity had been broken in the distant past, much earlier in fact than my departure for Australia ( I have a Moon opposition Pluto at birth and my mum’s Moon in Taurus is in square to both my Moon in Aquarius and my Venus-Pluto in Leo. Furthermore her Pluto in Cancer is conjunct my Uranus, a rather explosive combination that many Baby Boomers share with one or both of their parents belonging to the Pluto in Cancer generation). In plain English this meant that I somehow never quite felt to belong to my family, even when our physical distance wasn’t so great. As the years went by the individuals who make up my family had become like silhouettes in a dream of times past, as if I had met them in a book I read long ago, or in a movie I watched as a child. It is difficult to explain, unless you also have been living far away, the only contact in many years, phone calls and letters, both becoming less frequent and’real’ as time went by. The fact that I was born with a Moon in Aquarius has never helped me to feel at home within my family, not just with mum but with my father, sisters and brother as well. While, as a young woman, I found it easy to blame the fundamental differences between me and ‘them’ mainly on their not understanding me or emotionally supporting me, later, especially with the help of Astrology, I began to see my own contribution to the problem. I know now that, one way or the other, doesn’t matter in which family I may have been born, I would have felt in a similar way, because the Moon in Aquarius is all about finding one’s nurture outside the family circle, in the wider world of friends, in the solidarity of strangers, books, knowledge, etc. Families are far too sticky for a Moon in Aquarius person, especially Italian families, a lot closer, ever-present and meddling than perhaps your average English, German or French counterpart. Now I know that detaching from them wasn’t due solely to our incompatibility of characters and opposition of world views, but principally to my need to cut personal ties in general and achieve a degree of self-reliance and independence. I happened to be also my mother’s Saturn Return child (born when she was turning thirty), the fourth of five children, so a bit lost in the middle, so to speak, and destined, having my own Saturn in Virgo conjunct mum’s Saturn-Jupiter, to become one of the hardest lesson in her life, due to my rebelliousness as a teenager, my long absences from home and finally my decision to emigrate to the antipodal Australia, a place my family never visited and couldn’t quite place on the world map. I can say that unconsciously I was moving as far away from my family as I possibly could, to seek the freedom and self-determination that I felt my upbringing and early conditioning had deprived me of. My Aquarius Moon is in fact also in opposition to my Rising Degree, Venus and Pluto in Leo, a configuration that ties one to family and early conditioning with very strong ties, giving however at the same time a compulsory drive to cut those ties that bind. With Pluto in aspect to the Moon, leaving my family beyond, as in a past life, has been really a question of survival for me; I cannot explain it in any other way. Lina was born, lived and died in Roma, Italy. She was a smart girl, very good at math and school in general, but her studies were interrupted early, for the usual financial reasons and also due to the fact that she was a girl and girls weren’t meant to get an education, it was considered wasted on them! All this can be seen in her Sun and Mercury in clever Virgo, in opposition to inventive Uranus. She did use these qualities and skills later on in life, excelling in many traditional domestic crafts, like sowing and knitting, and especially in her very creative cooking. During the war she started earning a living by working long hours in a small factory in the historical centre of Rome, where my future father happened to be the supervisor. She married him at the age of 19, a man eleven years her senior, attractive, hard-working, with a wonderful sense of humour, but also a very difficult and demanding man, rather self-centred and perhaps too fond of women to guarantee much marital bliss (Sun and Moon in Capricorn, Mars in Sagittarius). She took it all without ever appearing as a victim. Mum always kept her dignity and fought hard to let my father know how she felt about his infidelities. To no practical avail, but nevertheless helping her to maintain her stance and never bow down meekly to the situation. Divorce was an unknown word in Italy in the forty and fifties when mum was raising her family, so it was never an option to her, and I don’t feel it would have been an option anyway considering the steadfast and loyal character she was born with, an innate sense of duty always kept her devoted to her family and her husband. She had two children during the war years, my elder sister and brother. My father was lucky enough to be sent home from the African front early in the war, due to a wound he received from the lance of a Somali warrior and severe-chronic malaria. He was still suffering bouts of it in the 60s and 70s. In the difficult war times, because of his illness he was able to work and provide for his young family, when many in Rome were reduced to near starvation. A second daughter was born just after the end of the war, and finally I and my younger sister in the early fifties. I always knew my mother as an earthy, no-nonsense type person, and this is certainly confirmed by her Birth Chart, with the Sun, Mercury, Ceres, Jupiter and Saturn in Virgo and her Moon in Taurus. She was also soft, emotional and a very nurturing mum, one who truly enjoyed having children and always loved babies, also other people’s (Venus in Cancer and Moon-Vesta in Taurus). She might have had a Cancer Ascendant. The reason I feel this way is because she had two Cancerian children, my brother and I, and married a super-Capricorn man. Plus she was very much a home body, had only a very close and small circle of lady-friends, was an incomparably great cook and had very strong maternal instincts written all over her body (large breasts, soft smile, readiness to forgive, but tendency to emotionally, perhaps unintentionally blackmail her children and husband). Despite these soft traits she was also quite combative and sometimes even fierce in her anger, with Mars and the Asteroid Pallas (archetype of the Female Warrior) in Leo she always fought for her rights, but, I’m afraid to say, never quite won. Her Mars and Pallas were also conjunct Neptune at birth, placements that can diminish a woman’s power to assert herself. Against her own better judgement she became a victim after all and, to the end, had to accept situations in her life that she didn’t want or like. This Mars-Neptune conjunction has a lot to do, I feel, with the constant deceptions she suffered because of her husband’s inability to commit to a monogamous marriage. She was deceived and disillusioned many times. And it was, after all, the closest aspect (only 0 degree 12 minutes apart) of her whole Horoscope. On the positive side this aspect gave her the capacity to tolerate and let go of her ego centred desires, made her more selfless and loving, a great trait when you got five children to care for, if not for her, certainly for her children. Often, however, Mars and Pallas in Leo’s dramas were enacted in our household, I feel in an attempt on her part to justify her life story, by making up highly dramatic and effective pictures of her situation, to which the whole family was the audience. For a few moments she would play the wronged heroine in an extremely effective way. We were all mesmerized by her performance. But, give her a few more minutes, she would be back to be just mum, peaceful and contented. Leo needs to express its specialness, one way or another, even if for a moment. I should know about that one. She was a religious woman. Not a church goer much, but a true believer. She had no illusion about the organized Church that she considered corrupt and out of touch with people’s realities. Her strong Virgo discriminative powers always helped her to remain realistic and not to be easily fooled, despite the Mars-Neptune conjunction. She often mentioned the after life to us children, and loved to tell ghost stories. Every early November and for the month’s duration, mum followed the Southern Italian tradition (her ancestors had come to Rome from the Calabrian hills) of placing the photos of our dead relatives on her bedroom dressing table, with specially decorated thick and short candles wrapped in red waxed paper to illuminate, honour and remember them. The tradition of honouring the dead in November is certainly a very ancient one. November was dedicated to the memory of dead ancestors since pre-Roman times, due to its association with the cold late Autumn weather in the Northern Hemisphere, and the transit of the Sun in Scorpio, the Sign of Death and all Endings. It is in fact a pagan, therefore also astrological tradition. Her devotion was sincere and deep. I wasn’t surprised when I saw Vesta, the goddess who presided over the holy fire in the ancient homes of Greece and Rome, close to her Taurus Moon, because she always kept that divine fire alive in our home, despite many difficulties and heartache. She was, after all, interested in the occult side of religion and spirituality more than in orthodox worship and prayers. She did posses a strange curiosity for death and life beyond. A side of her was indeed very deep and even a bit scary, sort of primordial to me. She was also a big woman, already when I was a young girl, and so had the phisical presence of a fertility goddess, mysterious and dark to me. A sort of Earthy Mother. The Moon in Taurus with Vesta and Sun-Mercury in Virgo express so well the physical and psychological atmosphere she emanated. Too often we forget the very occult and witchy side of Virgo, because we concentrate mainly on Virgo’s need for routine and ritual. Mum had that too: the drawers and cupboards containig her dowry sheets, tablecloths and handkerchiefs were immaculate places, delicately profumed, with the items well pressed and shining with cleanness. And this is just one example of her need for purity and order. With my Pluto-Venus rising and opposing the Moon in Aquarius, the mysteries of birth and death have attracted and repelled me, since I can remember. Her power to manifest children never stopped to amaze me and keep amazing me about all women I know who have children. What a heroic, deep physical knowledge of the working of creation they are able to participate in. I cannot even phatom it and don’t even want to go there. How strange. It is if I had seen it all in her and could move away from the direct experience of it. The sense of mystery and even hidden danger that she inspired in me has been a powerful spur for my psychological and eventually astrological study, and made me very much what I am as a person now. How important the Moon’s placement is to a Cancer person, man or woman, cannot be described very well in words, because it is the core or hub of the entire personality, colouring everything else in the Birth Horoscope. I list here a few transits that became active at the time of her passing: transiting Saturn had entered Virgo, her Sun Sign and hers and mine Saturn Sign at birth, in early September 2007. That September her son-in-law, husband of my elder sister, became all of the sudden gravely ill and died in November of the same year. This was a great shock for mum, who loved this man as if he had been her own son. She had also been living with him and my sister for many years, since in fact the death of my father in 1986. So the conjunction of Saturn to her Sun and Mercury had been the beginning of the end for her. Already depressed by her chronic illnesses, after this family death mum became more and more depressed, often talking of death and the desire to follow the ones who had gone before her. She told me that she felt guilty being still alive in her poor conditions and old age when her son-in-law had to die relatively young, when his family still needed him so. The time of her death, on May 9 2008, 7.50 am (coincidentally the same time I was born) coincided with the passage of the transiting Cancer Moon over her Natal Pluto, a great transit to cut the ties that binds us to life. Also exact at the time was a harmonious 120 degrees angle (trine) of transiting Pluto, in early Capricorn, with her Natal Sun in Virgo, the transiting Jupiter in Capricorn in opposition to her Natal Venus in Cancer and semi-square her Natal Uranus, the transiting Uranus very close to the cusp of her Solar Eighth House (I call the House Solar because I am using a Solar or Sunrise Chart). The same day also the transiting Sun in Taurus, few degrees away from her Natal Moon, was also in aspect (semi-sextile and quincunx) to her Natal Lunar Nodes in Libra-Aries, making the day one in which her destiny will be played out. Significant I feel were also two Eclipses, one Solar and one Lunar that occurred respectively on February 7 and 21, 2008, prior to her death. The February 7 Solar Eclipse saw the Sun and Moon in Aquarius aligned with Chiron, Mercury and Neptune, also in Aquarius. This configuration happened to form a 90 degrees angle (square) with mum’s Moon and Vesta in Taurus. The February 21 Lunar Eclipse’s transits on her Chart were even more significant: the eclipsed Moon was in fact conjunct Lina’s Natal Sun (and Solar Ascendant), and transiting Saturn, while the transiting Sun was opposing the transiting Moon and Saturn and the Natal Solar Ascendant! A very close and personal eclipse for her. To conclude I have also looked up mum’s Progressed Chart for the time of her passing. The Progressed Moon, always a very important indicator of events and emotional atmosphere for any period, was in Cancer at the time (like the transiting Moon), separating from a conjunction to her Natal Venus in Cancer, and applying to a harmonious angle (60 degrees) to her Natal Jupiter in Virgo, both positive progressions, showing that she found peace at the end, feeling the loving that surrounded her and envisioning future possibilities. Venus and Jupiter are the two traditional ‘Benefics’ of astrological lore. Passing into a new life under their benevolent rays was, I’m sure, a blessing and a promise of better things to come for her soul. I feel that my mother’s Birth Chart, calculated as it is for Sunrise on the day of her birth, because her true time of birth is not available, vindicates the validity of Sunrise Charts. They really work! In my own eccentric way (Moon in Aquarius) I have attempted here to honour her and celebrate her life on this second anniversary of her passing, the only way I can. A few weeks before mum’s death, one early morning, thinking of my far away family I decided to pull out a Tarot Card from my Mythic Tarot deck, one for each member of my family. I wanted to get a picture of each of them unbiased by my own personal opinions. 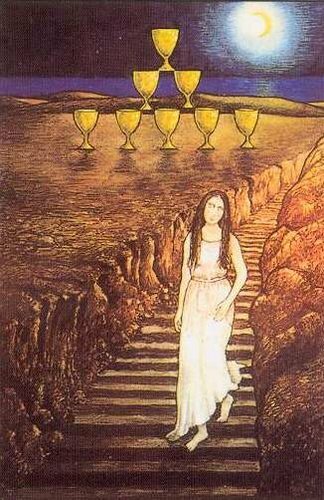 The Card that came out for mum was the Eight of Cups, in this deck represented by Psyche beginning her journey in the underworld to find her lost love. I reproduce it below. This picture, I feel, is really worth a thousand words. Wow, I loved it. Nice tribute to your mother on mothers day. I would love to hear more about those ancient traditions and growing up in Roma. The only traditions we had in our home was the Scottish tradition of drinking whiskey on special occassions!!! Wonderful of you to share this with your readers, and very timely at that. I really relate to a lot of what you’ve written in this post, although as a very independent Cancer male, having gone through many similar experiences. So many things I could also share here that are beyond this comment stream. Perhaps the one thing to share is that, from an astrology POV, whenever a person experiences the passing of a parent (or other family member), that represents a transformation or shift in their chart. With parents, the loss of Mom is symbolic of shift in Lunar Energies; loss of Father being shift in Solar energies. I really noticed this in the passing, some years back, with my Dad, as well as seeing it in the charts of other friends and clients. So perhaps this is the more valuable lesson you can carry forward in her passing; that of cherishing your Moon and gaining closure on any memories and feelings that need to be reconciled. 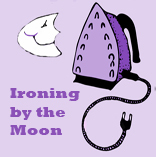 And perhaps this Blog can be seen as a tribute to your Mum, as well as to your being a strong Lunar individual looking to nurture others. Interesting also your mention of the 8 of Cups in the card you drew for your Mum; not just in the spirit of the Pip (cups) or that card itself, but also as the way it points to Key 8 in the Major Arcana, as either the Strength or the Justice card. And even more so with Leo-Libra emphasized in these cards, and Italy being such a strong Leo country! I can relate to your sense of anger and despair at not having the opportunity to say ‘goodbye’ to your mother and to ‘make peace’ for all the wrongs that inevitably occur in such a relationship. A few years ago I attended a seminar given by the astrologer Darby Costello called “Mothers & Daughters” and she said the relationship between mother and daughter was fraught with contradiction because we want to be different and independent of our mothers yet with each year we find ourselves becoming more like her. This generates a never-ending battle between dependence and independence which in turn generates guilt, price, fear and despair. Worse, at some point in our lives we need to become angry with our mothers – in order to reclaim a part of ourselves from her (mother/daughter is the most difficult relationship because we are born from the same body as our own). The trick is to process all that anger while still maintaining contact with our mother. I didn’t have the chance to do this because like your mother she died unexpectedly (in 2003) while I was in the midst of my anger (I’d not visited her in over a year). Good luck with your our journey with your mother – for in my experience it doesn’t stop with her death – in fact perhaps it’s only with her death that it can really begin. It is very true that the journey to redeem my relationship with, not just my mother, but mothering in general and looking into my own emotional needs, took a very important turn in the road at her passing, but it is certainly not finished. My anger toward her, obvious in my outer behaviour of indifference (like forgetting to give her ring or writing a line to her when I knew I should have done it), the sort of passive cruelty I often showed to her, while pretending that everything was actually fine, stemmed really from my own ignorance of the psychological situation that was binding us. I didn’t feel any obvious anger toward her, only an enormous gulf that neither of us knew how to bridge. 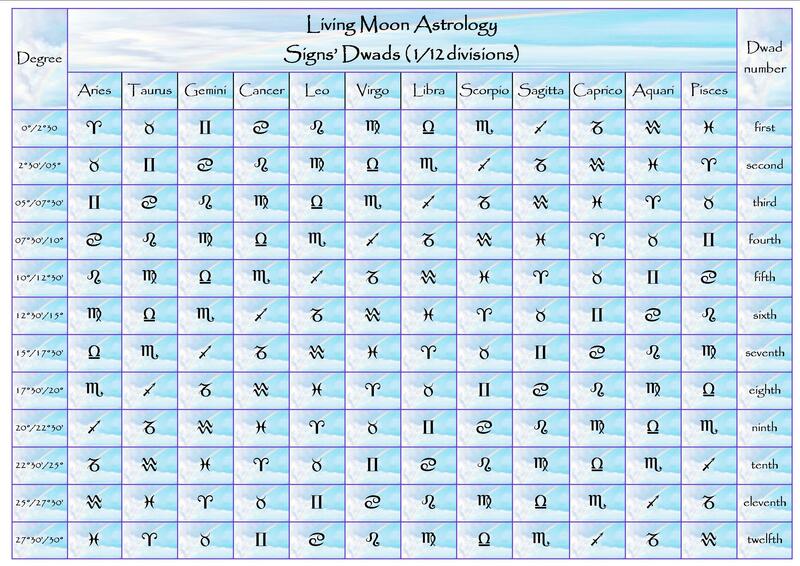 The Moon Sign and aspect in my own Chart shows crearly this dynamic within myself, and naturally fit also well with my mum’s Chart, because within and without, as above and below, are one in a holistic view of the Natal Horoscope.